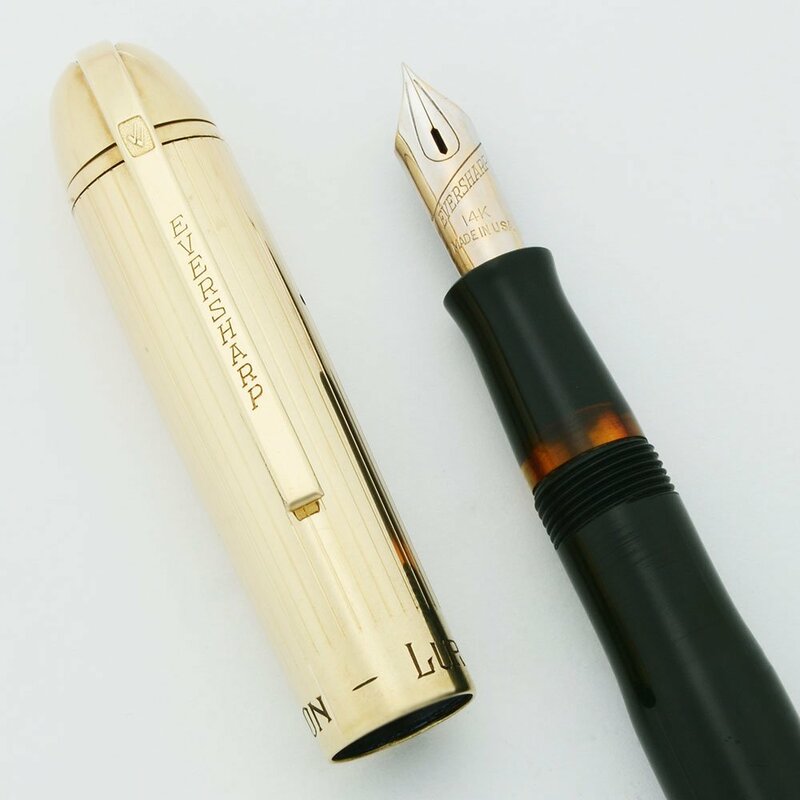 Eversharp Skyline Demi fountain pen in dark green with a less common gold filled cap with engraved lines running lengthwise (aka longitudinal) and gold filled derby. Manifold 14k extra fine nib. Very nice condition. 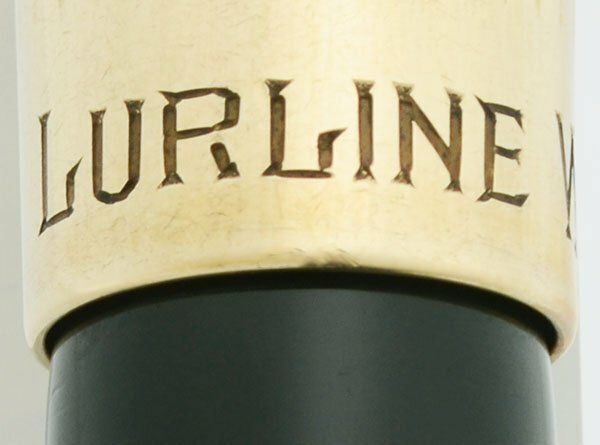 Personalized, "Lurline Wilkinson". Fully restored and working well. Color Dark green barrel with gold filled cap. This version of the cap has lines running lengthwise aka longitudinal .... it is less common than the version with lines running around the cap. The black section has an embered view window. 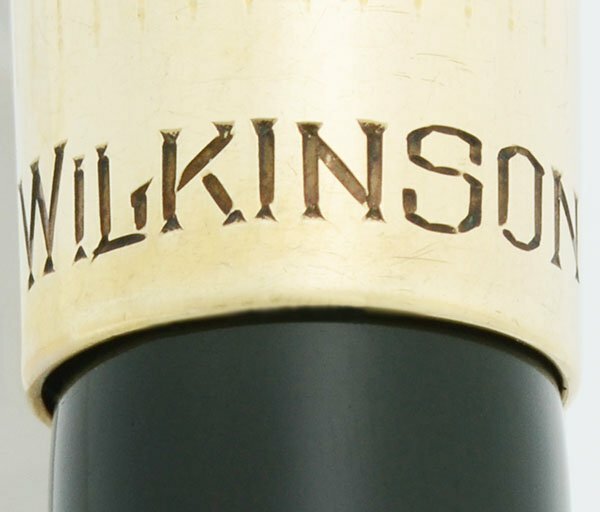 There is a personalization on the solid cap band, "Lurline Wilkinson". Nib MANIFOLD EXTRA FINE 14k nib. The nib has nice tipping material and writes very smoothly. Condition Very nice condition. The area of the barrel where the cap fits has horizontal scratch lines and there are a few small marks toward the end of the barrel. The cap has a shallow dent just under the breather hole to the left of the clip. The clip looks beautiful as does the gold filled derby. There is a personalization and it is quite clear. Imprints are also clear. There are no cracks.